THE chairman of Cork County Board has promised to consult with residents who live near Páirc Uí Chaoimh as work starts on the €40 million redesign of the flagship stadium. Bob Ryan said last night public consultation will be a key part of the process ahead of an expected planning application in June. "Our plan is to proceed without delay," Mr Ryan said. "We are hopeful, that without major planning issues, to start building by the end of this year." The GAA plans to upgrade the ageing stadium to bring its facilities into line with modern sports grounds. Its covered stand will be extended, increasing spectator capacity from 43,500 to just over 45,000. The extension will include new player and referee changing rooms, corporate boxes, medical rooms, a gym and a restaurant. The centre of excellence, earmarked for a portion of the former Showgrounds site alongside the stadium, will include an all-weather floodlit playing pitch and a small seated stand. The revamped stadium will be able to cater for concerts hosting up to 60,000 people. But the project is facing opposition from residents’ groups in the Ballintemple and Blackrock areas who claim they are already "under siege" on big match days from "ignorant GAA fans." KILLARNEY has secured a victory over Tralee for a new Kerry GAA museum, estimated to cost more than €3 million. A planning application has been lodged with Killarney Town Council to build a two-storey museum, with parking facilities for cars and coaches, at the town’s Fitzgerald Stadium. The neighbouring towns had engaged in a war of words in their claims as likely locations for the county’s major new sporting and cultural museum. But the fact that Killarney attracts a large number of visitors was a key factor in determination the location. Fitzgerald Stadium, which opened in 1936 and which can accommodate more than 40,000 spectators, is also one of the country’s leading GAA grounds. The planning application, in the name of Kerry Gaelic Culture Museum Ltd, is for a 1,350 sq metre building to be erected on an under-used training field on the eastern side of the main pitch. Work will also involve the demolition of toilets, some of the boundary walls on the northern side, and all of the existing boundary walls, gates and entrances on the eastern side of the stadium. A decision on the planning application is expected on February 11 next and the aim is to have the construction completed in 2013, depending on funding being available from tourism bodies and the GAA. A DEVELOPER has been cleared to lodge a planning application for a €41 million supermarket near an ecologically sensitive site on Cork’s northside which straddles the city-county boundary. The developer wants to upgrade the existing Fox & Hound mixed use retail and commercial development in Ballyvolane into a mixed use nine-unit retail district centre. Tesco is expected to be the anchor tenant. The project could create up to 200 construction jobs and up to 400 retail jobs. The developer has also promised to set up a scheme in the local community to source and train employees. However, Cork City Council owns a portion of land in the area which gives access to the proposed development site, which is in the county council’s jurisdiction. The city-owned land, just north of the North Ring Road, is zoned as public open space and is an area of high landscape value. As the access land was owned by the city, the developer needed to get a letter of consent from the city council to enable him to lodge a planning application. If the project gets the go-ahead the applicant will also require the disposal of that land to ensure the project goes ahead. The city council’s strategic planning committee considered a report from city manager Tim Lucey on the issues yesterday. Mr Lucey recommended that the council issue the required letter of consent and said it would mark the start of a formal planning process. He said the retail proposal had raised several issues which could only be dealt with in the event of a formal planning application. He said that process would deal with matters such as the retail impact of the proposed development and its compatibility with the two local authorities’ joint retail strategy, access and transport details, as well as ecological and flood assessment issues. However, Cllr Ted Tynan (Worker’s Party) said he was disappointed with the decision to facilitate the developer. Cllr Thomas Gould (SF) and Cllr Patricia Gosch (FG) said that given the current economic conditions it would be wrong for the council to turn its back on such a project at such an early stage. Cllr Joe O’Callaghan (FG) said last night’s decision gave no guarantee that the project would go ahead. "I have every faith in our professional planners," he said. "If this doesn’t stand upon its merits, in every respect, then it won’t get the go-ahead." A FARMER will avoid jail but faces a "substantial" fine for demolishing a ring fort on land belonging to his family. In the first case of its kind in Irish courts, John O'Mahony pleaded guilty to carrying out unauthorised work near a monument on his family's farmland in February 2008. The lands contained a ring fort and a series of underground tunnels, or souterrains, which dated back to between 500AD and 100AD. The ring fort and souterrain system were deemed to be national monuments of historic importance and had been placed on a national register. Judge Carroll Moran further adjourned sentencing O'Mahony of Clashmealcon, Causeway, Co Kerry, at Tralee Circuit Court yesterday, to obtain evidence of his income. However, the judge indicated that a fine would have to be substantial. The maximum penalty is five years in prison or a fine of €50,000. Landowners are required to notify the Department of the Environment of their intention to carry out works near a national monument and have to obtain written permission from the minister before they can proceed. However, in February 2008 O'Mahony hired workers who demolished part of the ring fort and the souterrains. He used the materials to fill in a nearby pond, which he told the court he believed could pose a risk to children and livestock. When the Department of the Environment learned of the demolition, they notified gardai. O'Mahony had initially claimed he was not aware of the significance of the ring fort. However, in the course of the investigation, it emerged he had previously objected to a planning application to construct four houses on the same site on the grounds that it contained a ring fort. Yesterday, the court heard that restoration of the structure was not possible. The defence said O'Mahony regretted what happened and apologised. Judge Moran adjourned the matter until February 21 so that evidence of O'Mahony's means could be produced. THE famous beehive huts built by monks along the western coast more than 1,400 years ago have inspired a modern equivalent. Glenstal Abbey, a secluded monastery in Limerick, plans to construct two eco-friendly huts as a place for visitors on retreat to reflect and find peace. The world-famous beehive huts, perched at Skellig Michael, above the Atlantic Ocean, were built from the sixth century onwards by monks who preferred quiet and remote locations. Hundreds of years later, their successors -- Benedictine monks -- in Glenstal hope to have two more spaces for silence and solitude built. Inspired by the beehive huts, they will be known as 'Godpods'. A €200,000 donation from the JP McManus Pro-Am Fund has made them possible. According to a planning application lodged with Limerick County Council, the 'Godpods' will be 26sqm and made of timber. A decision on the monks' application is due in the next few months. PROPERTY developer Danny Grehan (47) has been declared bankrupt in the UK a week after his brother Ray. The brothers, who have been living in London since last year, each owe NAMA more than €300m. Ray Grehan was declared bankrupt at the end of December. Slough County Court issued a bankruptcy order against his brother, who has an address at High Street, Uxbridge, London, on January 6. He will be automatically discharged from bankruptcy on January 6, 2013, according to the court documents. This means they will both be able to go back into business early next year rather than having to wait 12 years if they filed for bankruptcy in Ireland. Cork property developer John Fleming has already come through the UK bankruptcy process and has gone back into business. The Galway-born Grehans, who owned the Glenkerrin Group, which was a major house builder in Ireland over the past 15 years, have been involved in developing property in the UK for many years. The brothers moved to London in the middle of 2011 and have satisfied the court that their main business is there. Ireland's once-richest man, Sean Quinn, failed to win his case to be made bankrupt in Northern Ireland and will face bankruptcy proceedings in the High Court in Dublin on Monday. Over the years the Grehans had built up a portfolio of properties in Ireland and the UK, including a new tower next to Canary Wharf. Over the next year the brothers' assets will be distributed by an official appointed by the court amongst the people they own money to, including Nama. They will be freed from their debts at the end of that process. Nama can challenge their application to be released from bankruptcy at the end of next year and can also try to make a claim on their pensions that are not included in the bankruptcy. Danny Grehan, who also gave an address to the court of Crinstown, Maynooth, Co Kildare, has been working as a project manager in the UK. Leading developers Sean Mulryan and Joe O'Reilly are changing their plans for projects in Dublin by jettisoning apartments in favour of "family-style'' homes which have held their value better since the crash. Mr O'Reilly, the owner of the Dundrum Town Centre and a top 10 NAMA developer, is seeking to revise a previous planning permission for the latest section of the Adamstown development -- dropping plans for apartments and going instead with three-bed homes. The application, from O'Reilly's Castlethorn Construction, has been made to South Dublin County Council, with a decision expected early next month. The agent for the company refers to the changing landscape for housing in Dublin. "One of the immediate challenges in Adamstown is maintaining the momentum of the early phases of development, to build up the critical mass of population,'' states Mahony Pike. Adamstown must develop as "a permanent home for families" and not just a "transitional location for first-time buyers'', states the agent. Castlethorn, the main contractor at Adamstown, is not the only company switching emphasis away from apartments to houses, with Sean Mulryan's Ballymore Residential also revising its plans. A planning revision from that company includes proposals for 43 four-bedroom houses and several other larger houses at Wainsfort Manor Drive in Terenure, Dublin 6. Dublin is currently suffering from an over development of apartments and it is understood NAMA, which is now supervising the plans of a large number of developers, is keen to see a re-balancing towards traditional family-style housing. A heritage group last night pledged to fight the decision to give the go-ahead for a €150m development on the site of a former brewery. 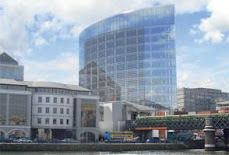 An Bord Pleanala granted permission for the project in the South Main Street area in Cork, which will include an exhibition area, cinema, restaurants, bars, a viewing gallery, artists' studio, apartments, and two pedestrian bridges across the River Lee . Heineken Ireland and BAM Contractors are behind the development at the former Beamish and Crawford Brewery, which dates to 1792. Planners granted permission with 24 conditions, but the National Conservation and Heritage Group, which is opposed to the development, has said they will take their fight to Europe. A €150m redevelopment of the historical former Beamish & Crawford site at Cork’s city centre has been given the green light. The building of a museum will form part of the development at the site of the country’s oldest brewery which includes a cinema, events centre as well as retail and office space on the four acre area. An Bord Pleanala gave the plans, proposed by Heineken and Bam Construction, the go ahead. Construction is expected to begin this year but part of the original building, including its mock Tudor facade, will be preserved as part of the development. Up to 300 building jobs could be created as part of the project. The 6,000 seat events arena will front onto the River Lee while the centre could also become a tourist attraction given its history with the city which dates back to the 17th century. RAY Grehan's decision to declare bankruptcy in the UK in the dying hours of 2011 shouldn't have taken Nama by surprise. But it did. Today, Mr Grehan -- who famously paid €171.5m (a record €84m per acre) at the height of the boom to acquire the Veterinary College site in Ballsbridge -- explains his dramatic move, saying it puts him in a "better position to rebuild, rather than staying on and allowing Nama to prolong the agony with a noose around my neck". By going for bankruptcy in the UK, the Glenkerrin Homes chief will have a clean bill of financial health by the end of this year. Most significantly, the €300m judgement the State's so-called 'bad bank' obtained against him here last November will not be worth the paper it is written on. And while Mr Grehan understands that there will be public anger, given that this money is owed to the taxpayer, it's an anger he believes is misdirected. "I did not choose to go into liquidation or receivership. I worked with Nama. I signed a memorandum of understanding with them to work out our assets. We were the best-placed people to do that. "Had they worked with us, they would have got the bulk of the money back -- probably it all -- over the eight-year plan," he claims. The Galway-born developer's anger towards Nama becomes clearer when he is asked for his view of its chief executive Brendan McDonagh's announcement that the agency would sell a significant proportion of its UK property portfolio by 2013. "The minute Brendan McDonagh said they were going to unload their assets in the UK over a two-year period, they wiped probably 20 per cent of the value off that portfolio. All the wealth funds in the world are looking at that. "London is a very small market and a very specialised market. You can't go in there and put several major assets on the market at the one time. It's a very fickle market and one that you work with very carefully and quietly to sell assets," Mr Grehan says. A GOVERNMENT minister has voiced his opposition to a super sewage plant proposed for his constituency. Health Minister James Reilly fears a systems failure could result in large amounts of raw waste being pumped into the Irish Sea, impacting on shellfish beds, the environment and thousands of people living in Fingal. Dr Reilly also warned any sewage should be treated to advanced levels to make waste water as clean as possible for discharge or recycling. "Whatever solution emerges, it is my opinion that tertiary treatment should be included, in order to treat the waste to a higher level and produce water that might be suitable for certain purposes," he wrote to constituents. Nine possible sites across Fingal have been earmarked for a plant to treat sewage from across Dublin and parts of Kildare and Meath. A preferred site is due to be selected by Greater Dublin Drainage and Fingal County Council before the end of the year. The outfall pipe will be off the east coast between Rush and Portmarnock. Dr Reilly maintained each of the nine sites were unsuitable for a super plant, particularly in Ballyboughal and the towns of Rush and Lusk. AN BORD Pleanála is due to decide soon on controversial plans to replace five individual shop buildings on the corner of Henry Street and O’Connell Street, in Dublin city centre, with a single retail unit suitable for a chain store. One of the principal arguments made by appellants against Dublin City Council’s decision to grant permission for the scheme is that it would result in the demolition or significant alteration of buildings that were present during the 1916 Rising. 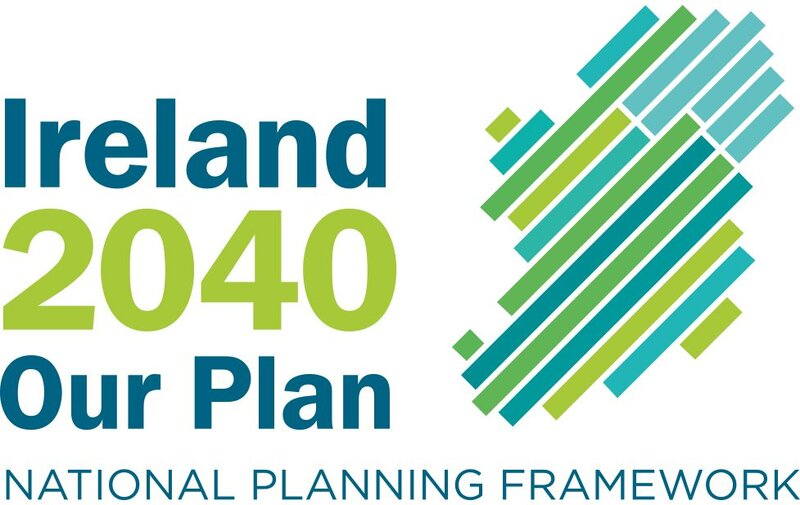 AN BORD Pleanála, the planning appeals board, has been reduced to just four members, none of whom is an architect, and there is no indication when further appointments will be made by Minister for the Environment Phil Hogan. The Minister declined to reappoint two architects – former deputy chairman Karl Kent and ordinary board member Angela Tunney – and one former senior planner, Jane Coyle, when their terms of office came to an end late last year. DEVELOPER OWEN O’Callaghan has dropped plans to build an events centre in Cork after a rival project on the former Beamish site got approval. An Bord Pleanála granted permission for a €150 million redevelopment of the former Beamish and Crawford brewery, which includes a cinema, mixed retail, bars, restaurants and 46 student apartments as well as a 6,000-seat event centre.